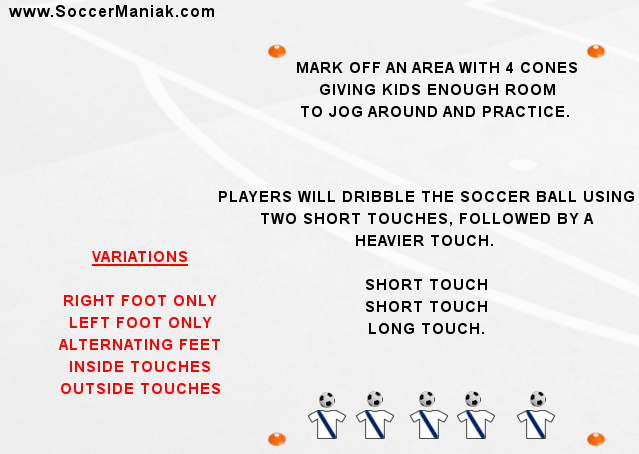 Soccer drills for beginner players are focused on fun and playing with the ball to improve the players coordination and skills with the soccer ball at their feet. 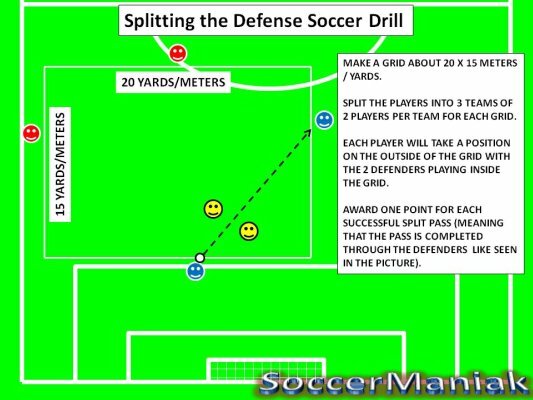 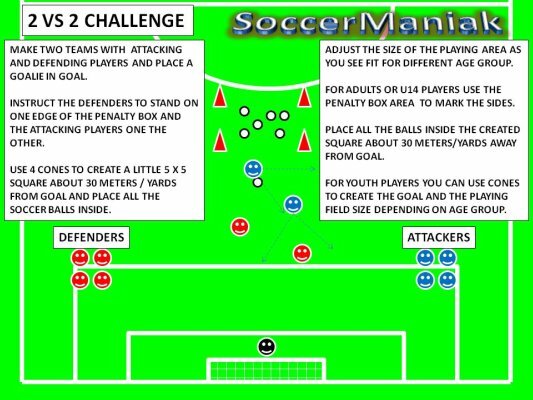 This is a fun soccer drill for beginner soccer players, but it can also be adapted to more skilled players by getting creative with the training drill instructions. 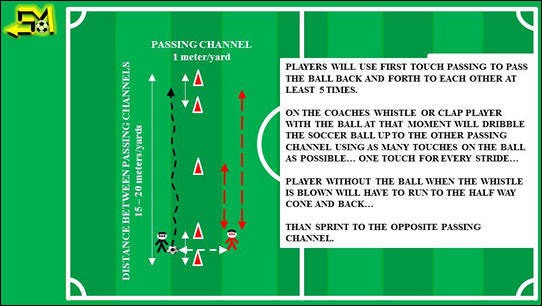 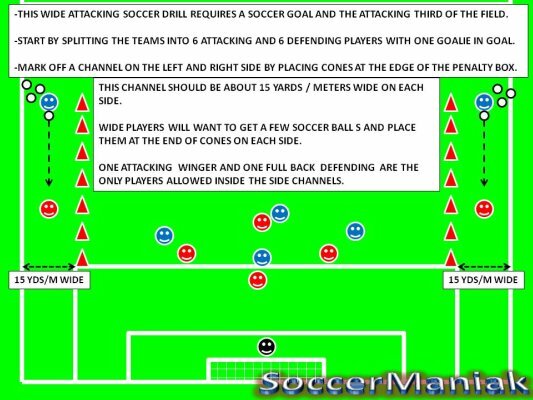 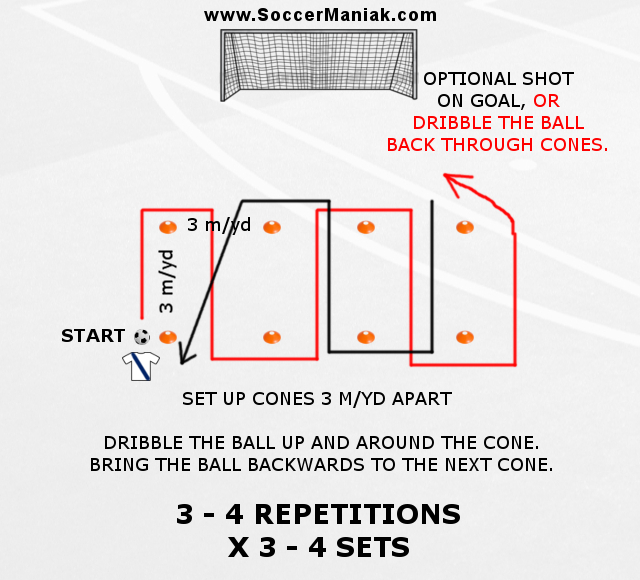 Here is the basic way this soccer drill should be done with young beginner soccer players. 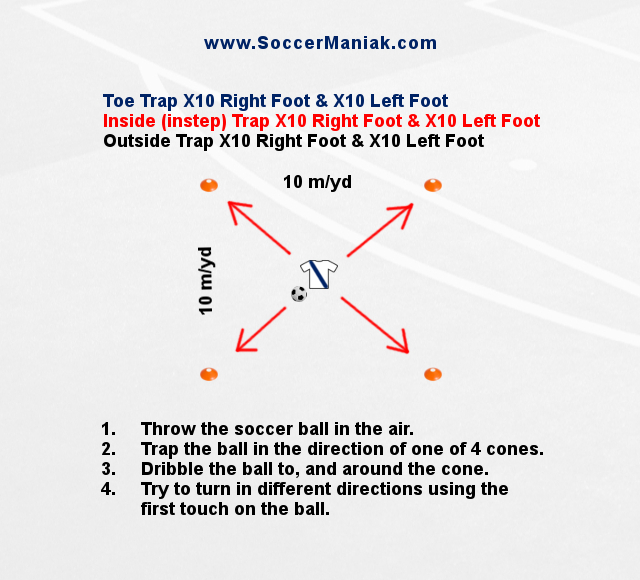 Players will start with the ball at their feet. 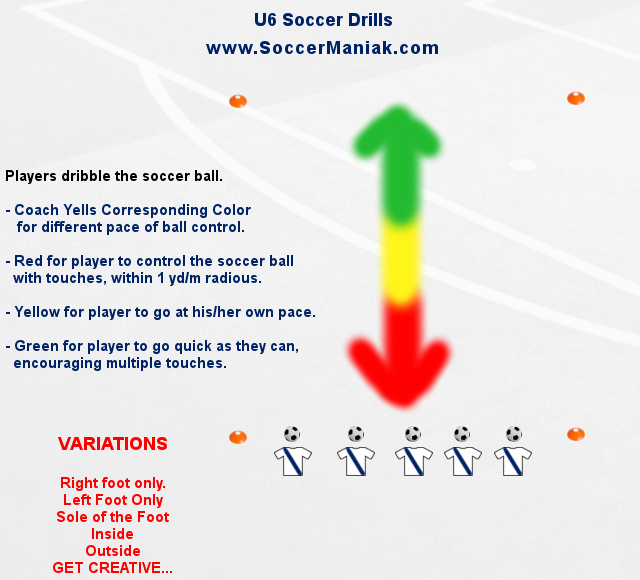 Coach / Parent yells different light colors for different movements. 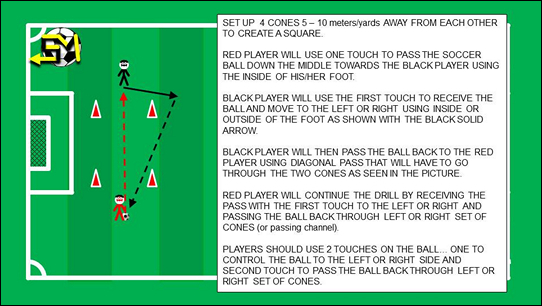 Green Light for players to move with the ball using short touches as quick as they can. 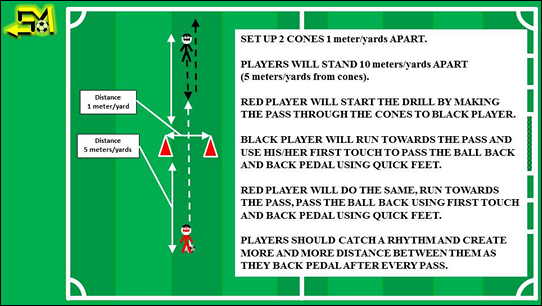 Yellow Light for player to go at his/her own pace. 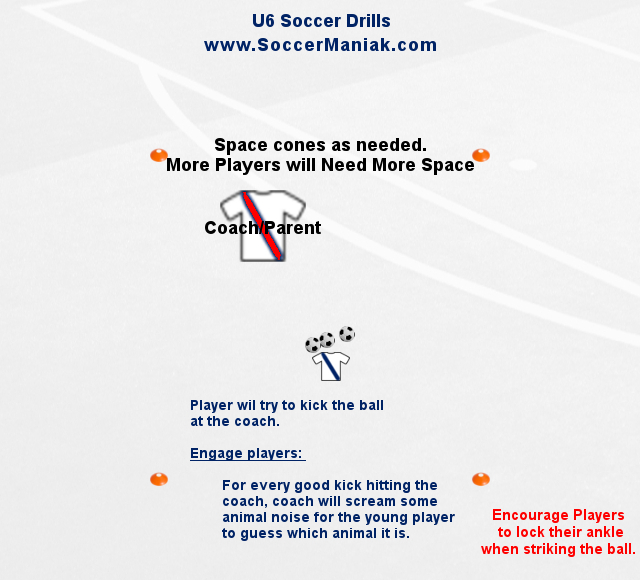 Red Light for player to slow down to stationary position, staying on his/her toes, and touching the soccer ball in small space. 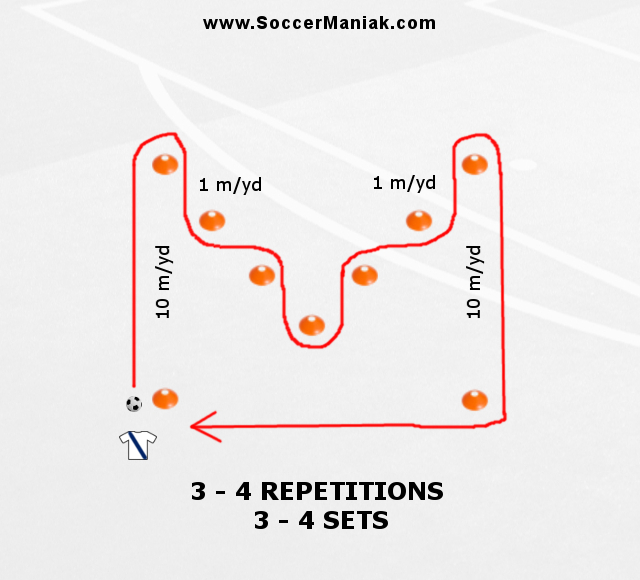 Keep the exercise going for 60 – 90 seconds, repeat 3 – 4 times. 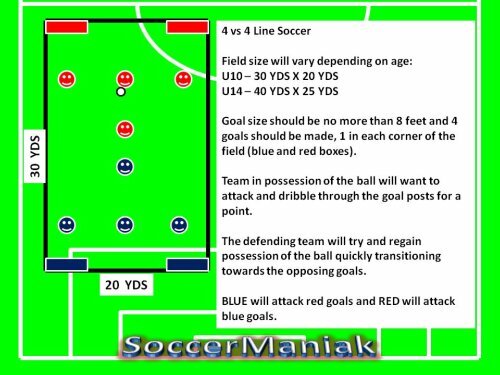 Simply add the skill to different command colors. 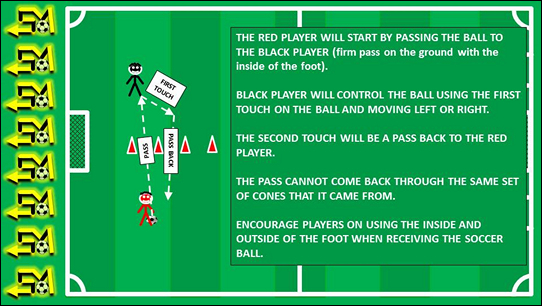 When the color is yelled out, the players will do whatever skill that color represents for the set amount of time. 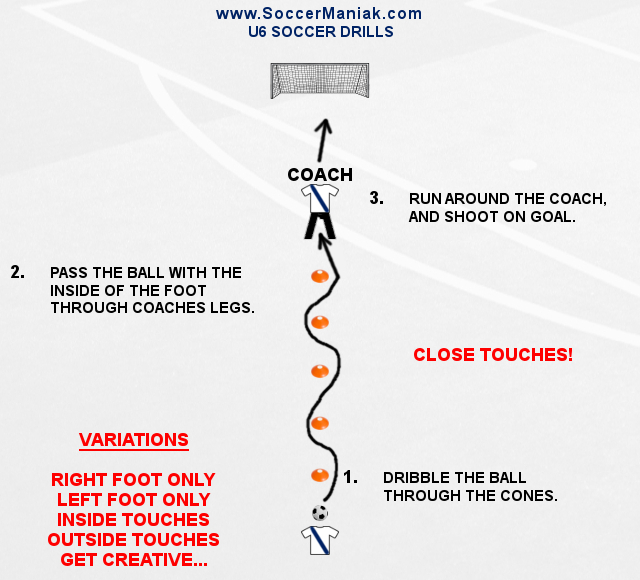 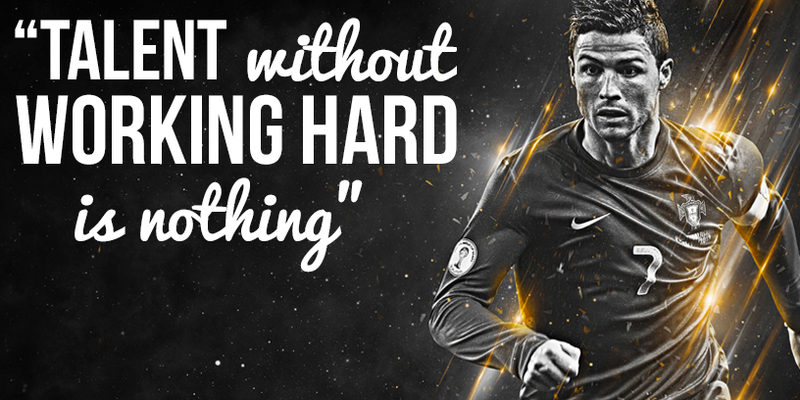 Have fun and get creative with soccer.